A green corner in any home can easily be its most pleasing aspect. With compact gardens becoming popular, it is essential to have a few plants that would bring cheer to the senses – both aesthetically and auspiciously. While the lucky bamboo must be on everyone’s list, here are five must-have plants that are practically useful and therefore bring positivity to the home and thereby can be called auspicious. Carom /Ajwain plant : In the South of India, it is known often as the ‘thousand-utility’ plant – such are its medicinal properties. While a decoction of its leaves cures one of persistent colds, ajwain or the carom seeds can lend a complex fragrance to any dish - its leaves are even used to make pakoda’s (deep fried savouries). The plant is an easy to grow, low-maintenance plant for the home verandah or window garden. It consumes less water and its leaves lend a heady purity to the air. Tip - Its low maintenance plant which can be killed by over watering. It needs firm rooting before it establshed itself on soil. Once established it can grow wild and anywhere even window silt. Holy Basil/ Tulsi: A popular plant in most Indian homes, the Tulsi is known for its anti bacterial properties and is a tried-and-tested home cure for colds and stomach ailments. Growing the Tulsi plant in small groups in the entrance of homes or an open verandah, can actually purify the air entering the home. Little wonder that this plant is considered holy! Tip - Its not indoor plant. It needs ample of sunlight and fertile soil. 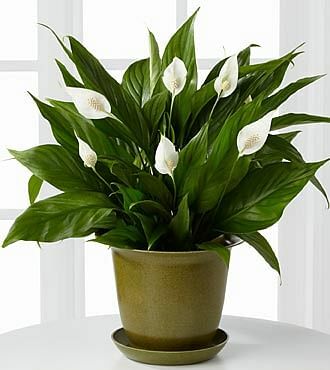 The Peace Lily: The white flowers on these dark green leaved plants are sure to bring peace to the home. Scientifically named Spathiphyllyum, the Peace Lily not just brightens up the house with its foliage, its leaves are also known for its air-purifying properties and found to act as dust magnet. The brilliant white of its flowers gives the green of the garden ample relief! Tip - Peace lilies are drought tolerant plant and needs water twice or thrice a week. Only water it when soil is dry on touch. Ovwewatering kills it. It grows well indoor still showing sunlight once in a month is helpful. Also as peace lily leaves attract dust washing or wiping its leaves always a good idea. It needs good fertilized soil to bloom. 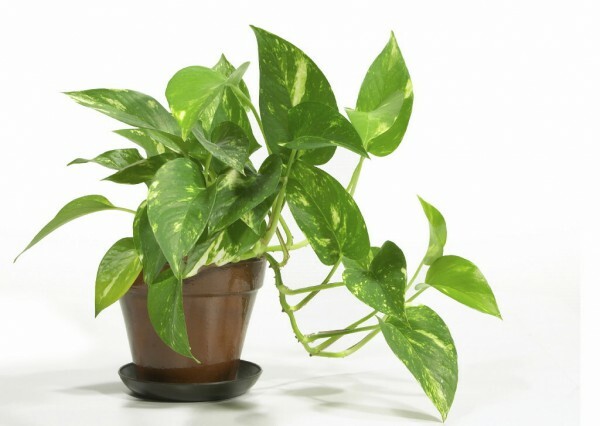 The Money Plant: Common to most homes, either in a pot or in vase with water, the money plant is a favourite. While it is not sure why the plant is called so, it is considered lucky. Meanwhile practically, it gives foliage and is great as a natural curtain to the dust from outside. Did you know that when grown in the wild, the plant can actually reach 50 feet height? Tip - It can grow both in soil and water.Shaded area is preferred. Again limited watering. If leaves turning yellow its sign of overwatering. 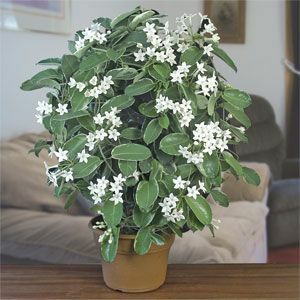 Jasmine: As a creeper that can give partial shade to a balcony, or as a little bush, the Jasmine plants can be a pleasing addition to the home garden. The pearly white flowers lend a tranquil fragrance to the home, relieving stress and therefore are considered an auspicious part of the Indian home. Tip - Jasmine is a plant needs extra care than other houseplants. It grows well in shaded area. Needs well fertilized soil. The ancient Indian science of Vaastu Shastra considers it important to have plants placed in particular directions in the house. Like Tulsi is preferred to have placed in north east corner of house. While it might not be practical always, creating a green corner in the home, albeit a few pots, might bring a cheer and life to the house. Plants have energy which doesnt only bring wellness to physical health but also help bring balance in emotional and mental health. Start with few indoor plants to feel the subtle changes.